Includes: Our private tours of Pisa, Carrara and Viareggio include private transportation and service of your English-speaking driving guide. Optional: Additional fee applies for a local licensed Carrara tour guide. 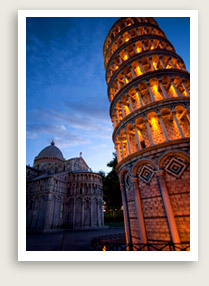 Enjoy a private guided tour of Pisa, Carrara and Viareggio with an English-speaking tour guide. There is a lot of history to know about this city, which was a Roman colony from the 2nd century B.C. and a naval and commercial port. In the middle ages it became a maritime republic, rivaling Genova, Amalfi and Venice. The good times rolled on into the 12th and 13th century, by which time Pisa controlled Corsica, Sardinia, and most of the mainland coast as far south as Civitavecchia. Most of the city’s finest buildings date from this period, when the distinctive Pisan-Romanesque architectural style flourished. Since the 15th century the city was governed by Florence, whose Medici rulers re-established the University of Pisa, where Galileo, Pisa’s most famous native, once taught. You will tour the so-called “Campo dei Miracoli”, a large grassy piazza containing Pisa’s cathedral, the baptistery, the cemetery and finally the very famous leaning tower of Pisa. You will have free time to wander around this beautiful square and enjoy the amazing architecture of the buildings. 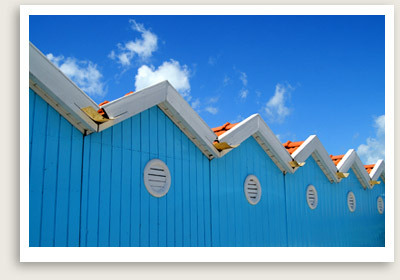 After, you will tour Viareggio, Tuscany’s biggest seaside resort, with an air of elegance lent mainly by the long avenue of palms that runs the length of its seafront promenade. You will have free time to explore and have a great lunch based on seafood at a local restaurant. The next stop of your private tour is Carrara. Located at the foothill of the Apuane Alps, the ancient quarry town of Carrara still produces 700,000 tons of stone annually, making this area the world’s largest producer of marble. A local tour guide will lead you on a fascinating guided tour of the area, passing through the mountains where you can observe both man and machine at work. You will see the quarries, pass through the tunnels and stop for great photos.